Paw Patrol Academy Paw Patrol Academy Train with your favorite puppy pals in this arcade style. 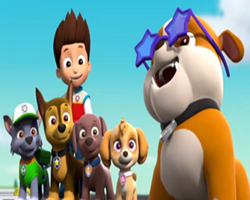 PAW Patrol Pups Save the Day PAW Patrol Pups Save the Day Join the pups of PAW Patrol on their missions to save their friends around Adventure Bay. 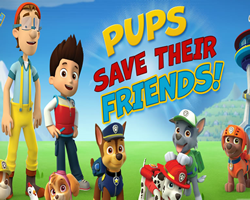 PAW Patrol Pups Save the Farm PAW Patrol Pups Save the Farm These pups have an important farm mission and it's big enough for every pup. 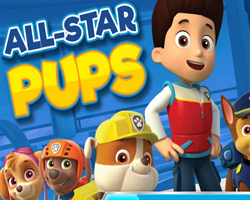 Description: Match up the Paw Patrol pups with their badges. Drag the correct badge onto the right pup.